Make your look bloom with Waterflower Magic, the new spring collection by KIKO Milano. The new Waterflower Magic Highlighter palette consists of 4 shimmers / highlighters with multi-finish to create a radiant makeup face. 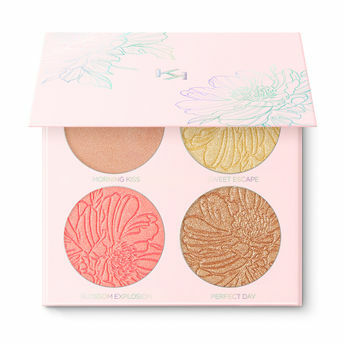 Explore the entire range of Highlighters available on Nykaa. Shop more Kiko Milano products here.You can browse through the complete world of Kiko Milano Highlighters .